Time is passing for the Marschallin, and her passionate affair with the young Count Octavian Rofrano makes her feel it more than ever. She is not the young girl she remembers, but she also does not know how to continue on as this older woman. When her cousin, Baron Ochs von Lerchenau, announces his engagement to the young Sophie von Faninal, she remembers her own forced marriage many years before and the passage of time seems even more poignant. She chooses Octavian to be the Baron’s rose-bearer, appointing him to carry out the custom of delivering the silver rose to the Baron’s bride-to-be. The Baron’s plans to marry the young heiress to the Faninal fortune are thwarted when Octavian arrives bearing the rose and steals Sophie’s heart. The Baron’s disgusting behavior and reputation for never settling his debts has not made him popular, so, with the help of several members of the household, a plot is hatched to disgrace him teach him a lesson. 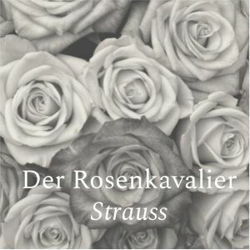 Strauss’s beautiful farce Der Rosenkavalier has something for everyone, and whether the audience are captivated by the incredibly beautiful score, the inclusion of a number of Strauss waltzes, the intricacies of the language used, or the cathartic punishment of the aristocratic buffoon, they continue to return to this opera.